Nowadays there is a great deal of talk about blood-pressure. One would almost think that it was the sole index of health and condition. I can remember when it was the correct thing to say, "Oh a man is no older, or younger, than his arteries." Meaning that if an elderly man had elastic walls to his arteries he had a good chance of continued life and activity; and that if a middle-aged man had arteries with weak and brittle walls, he was practically an old man, much older than his years would indicate. Now, I give you a maxim, which is, "No man is stronger than his heart." And this fact is so well known to professional athletes of all kinds, that they sedulously avoid the over-exertion that might cause heart strain. 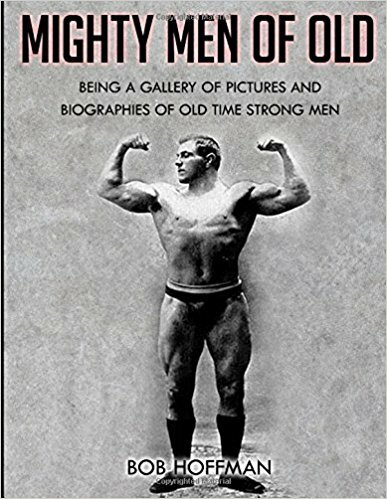 If you are among an audience watching the performance of a "Strong Man" you are almost sure to hear some wiseacre remark, "That fellow won't last many years doing that sort of stuff; some day he will burst his heart." You see, it is just like it was about digestion. The average man simply cannot realize that the performer's heart is just as much stronger than the average heart, as his biceps is stronger than the average. The heart is an involuntary muscle, and for that reason many believe that while it is possible to train and strengthen the voluntary muscles, it is utterly impossible to train and strengthen the heat. It is true the growth and condition of the heart cannot be directed as simply and easily as is the case with voluntary muscles. Everyone knows that it is possible to train the lungs, yet their action is controlled by partly voluntary muscles which go on acting automatically whether you are walking or sleeping. Did you ever stop and think just what is meant by the expression "getting into training ?" Do you realize that the primary object of an athlete's training is to strengthen his heart and lungs? After a season of loafing you report for football practice. The trainer looks you over, sees your condition and gives orders that every day for a couple of weeks you jog several times around the circumference of the playing-field. He knows that will take off the soft fat and harden your muscles; and, more important still, will improve and strengthen your heart and lungs. If you are "out of condition" you will not last long in a hard football game; no matter how much you know about it, or how strong you are. For who can exert his strength, or show speed if he is winded, or if his heart is pumping away above its normal speed ? Try it for yourself. 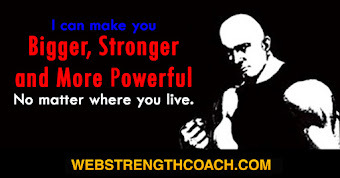 Run as fast as you can for a quarter-mile and then try to wrestle with a man weaker than yourself. Because he is fresh and you are winded, he will throw you all around. To resume, the first day you start at your jogging, you will be lucky to go the full distance without stopping. You may have to pause a couple of times for rest, and when you finally finish your heart is thumping against your side and you are puffing heavily. Each day the work gets easier, and at the end of the short space of two weeks you will be running with steady, even strides, and when you finish you are breathing heavily, but not in the least distressed for breath; and your heart is functioning powerfully and rhythmically. What you have accomplished is to strengthen the heart and lungs by daily vigorous use. What gratifies your trainer is that instead of being "dead on your feet" at the end of the first period, you can now run swiftly, charge vigorously, and tackle fiercely all the way through the game. This sounds as though I were talking of endurance instead of strength. Well, what is endurance except continued strength ? With a weak heart is possible to continue mild work for a long time without ill effects, but impossible to do "strength" for even a short time. Take a man with a weak heart, and you can walk him 15 miles in 5 hours on a level road, and it will neither exhaust him nor affect his heart action. But walk him up the side of a steep mountain, and before he has gone a mile, his heart will be beating so violently that it would be dangerous for him to continue. Up-hill walking is "strength stuff" because you are lifting you weight as well as propelling it. Make a weak-hearted man sprint a quarter-mile at top speed and you may kill him. The exertion of great strength for short periods calls for a stronger heart, than mild exertion over long periods. To run 100 yards in ten seconds is harder on the heart than running a mile in six minutes. 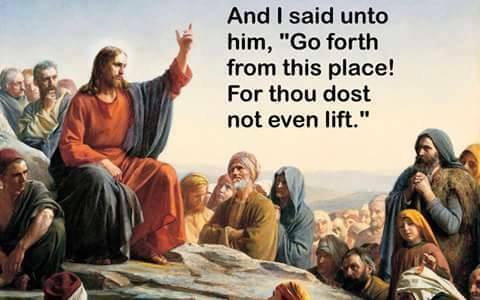 Now we will get back to the "Strong Man." When one of these Samsons walks around while supporting half a ton on his shoulders; when he pushes up a huge and heavy dumb-bell; or when he pulls around a pair of horses, he is getting exercise in its most concentrated form. Any exertion reacts on the heart and the heavier the exertion the stronger the heart must be, if it is to react properly. And yet a trained "Strong Man" will carry his half-ton of weight, put it down and wipe the sweat off his brow; and while his chest may heave with strong lung action, his heart will be going only a few beats per moment faster. Consider what he has been doing. While supporting the weight all his biggest muscles were strongly tensed. The muscles in his back and sides stood out in big lumps and bands, and his thigh muscles literally bulged under the severe strain. When a muscle is highly tensed, the blood-vessels which serve it are squeezed together, and it takes a very strong heart to keep the blood flowing through these compressed arteries and veins. The fact that the performer can do such a feat, without any evidence of distress is the best possible proof that his heart is very strong. Sometimes in a gymnasium some casual visitor will attempt to equal some feat which has just been performed. Perhaps a trained athlete has pulled so strongly on the handle of a lifting machine that the indicator registers 800 pounds. The visitor thinks that must be easy, because the athlete did not even breathe hard; so he will try, and tug as he will, the indicator will not go above the 400-pound mark. Hating to be shown up in that way, he again grasps the handle of the machine, sets his feet firmly, takes a long breath, and pulls with all his might and man. As he struggles, he first gets red in the face, then his eyes pop out, and the veins in his neck and forehead protrude. Luckily at that point any of the experienced men present, will force him to quit; asking him if wants to break a blood-vessel. That chap may go away fully convinced that great exertion is bound to wreck one's heart; or he may come back and practice on the machine, always keeping well within his growing strength. If he does that, he will find that his lifting muscles (legs, back and shoulders) will grow steadily bigger and that in some odd way his heart has become immune to the usual effects of heavy exertion. I, who have watched hundreds of "Strong Men" perform and practice, have never seen any one of them force himself so hard that he got red in the face; or had to hold up the performance while he rested his heart and lungs. What would you thing if a famous "Strong Man" puffed heavily, or got purple in the face as he "did his stuff." You would think that was a poor kind of strength. As it happens these "Strong Men" fascinate you because they can do such incredible things without distress. Even a feat which makes their muscles bulge like masses of metal does not seem to affect their regular breathing. And it is by his breathing that you can usually gauge the condition of a man's heart. The heart and lungs have a related action. Do anything that requires vigorous exertion, and as your lungs work more rapidly your heart will do likewise. Examine the chart of a fever patient and you will see that any marked increase in the rapidity of the pulse is accompanied with a proportionate increase in the rapidity of the respiration. I claim that if I watch a man moving about-exercising and working-I can always tell whether his heart is weak. If his heart is weak, he will puff even at such mild exertion as climbing two flights of stairs. If you can make him talk jut as he reaches the top, he cannot speak without gasping. For with a weak heart one cannot control the lung action, while with a strong heart one can regulate the breathing. An acquaintance of mine has an odd habit which demonstrates my point. He is a bear on keeping himself in condition. Every morning he will wait on the street, near one of the elevated-railroad stations until he hears his train come to a full stop. Then he will tear up the stairs, rush through the gate and board the train. He has to hustle or else lose his train - and he has never lost it so far. If I happened to be on that train he sit down beside me, and commence to talk in a perfectly even voice, without the slightest sign of exertion he has just performed. The explanation is that he has a very strong and solid heart. If your pressed him he would admit that his heart was beating rapidly, but there was no trace of labored breathing. If the heart is strong the lungs will work steadily, even if the exertion is so great as to make the heart beat strongly and rapidly. But if the heart is weak, even a short period of real exertion will put the lungs out of control. And as most "Strong Men" breathe quietly after finishing their terrific feats, I know their hearts are strong. There are all kinds of weak hearts. A heart may be damaged; its walls strained; or its valves "out of gear" so to speak; and a heart of that character can be made stronger by judicious exercise, but it possessor is debarred from getting very strong, and is debarred from exercises or games where great strength is required. No man with a heart like that should try and row a 4-mile race or take part in a long bout of wrestling. Many weak hearts are weak because their owners are weak. Often a fat man with flaccid muscles will have a heart which is muscularly weak; so if he overtaxes his weak and untrained muscles he will overtax his weak and untrained heart. But since there is no organic trouble, such a man can by progressive exercise, strengthen his heart; just as much as he strengthens his back, leg or arm muscles; and there is nothing to prevent him from becoming very strong and highly athletic. There are still others who have neither any organic or muscular weakness of the heart, but are still afflicted with what is known as a "nervous heart," in which the heart will jump or flutter at any sudden alarm, and will also fail to react properly after exertion. As an example of that condition, I can repeat for you a story told me by a professional athlete. This man, with his two partners, performed and acrobatic and tumbling act. The biggest man of the other two was a powerful and enduring man; in fact, he had to be so as he was the "understander" - the bottom man-who supported, caught, and generally threw around, his two lighter partners. So strong was he that he could do the heavier part of the act half-a-dozen times a day if need be, and still be fresh at bedtime. But unfortunately he was a heavy drinker- a periodic = never drank while on the job, but if there were two or three weeks between engagements, would slip off by himself and get drunk and sty drunk. A few days before the next engagement was due, my friend would hunt up the deserter and work him to put him back in shape. When the "understander" returned he would be in pitiful condition. All the usual outward signs; and in addition his hands and limbs would tremble if he tried to use them, and he would jump almost out of his skin if a door banged, or an autoist blew his horn. Of course, the other two saw to it that he got no more liquor; and when they started in to practice they could work him only on easy stuff and for a few seconds at a time. In a day or two his shakiness would disappear; his strength and endurance would come back to him and by the time the show began he would be his old self again; and no one would have suspected that his heart would ever trouble him. But just the same at the end of one of his "bats" he had every symptom of the so-called "nervous heart." 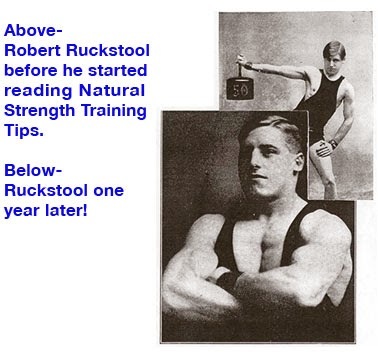 It is interesting to know that of late years some of the great European specialists have cured cases of apparent heart weakness by gradually accustoming the sufferers to the strenuous sport of mountain-climbing and weight-lifting. Evidently the treatment is for the purpose of strengthening the muscular fibres of the heart, since it would hardly be safe in case of dilation or leakage. As to the lungs, the same public that suspects the heart-condition of the "Strong Man," willingly concedes the size and power of his lungs. Indeed the evidence of lung-power is so plainly visible as to be undeniable. 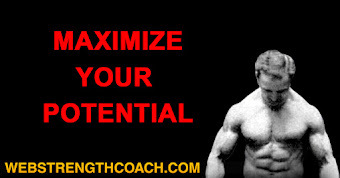 One of a "Strong Man's" most striking attributes is his ability to expand his lungs. 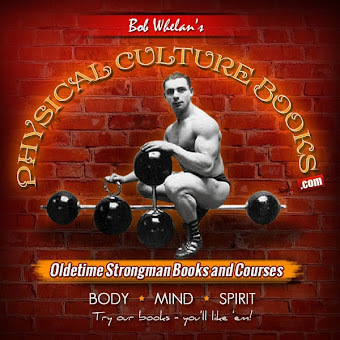 It is true that some performers have over-emphasized their true, or lung, expansion by adding to it the muscular expansion of the upper back muscles as described in my book, "Muscle Building." 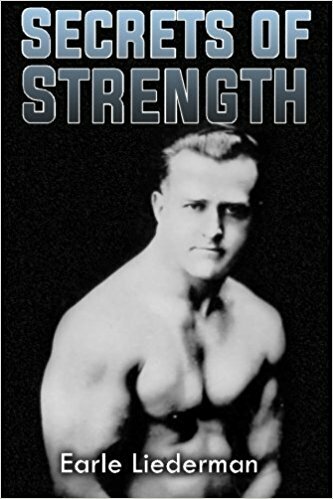 But without resorting to such dodges, the really "Strong Man" can show three or four times as much lung-expansion as can the average man; and twice as much as most athletes can show. Make the average "non-athletic" stand erect, with his arms hanging by his sides; have him expand his chest just by filling his lungs with air, and he is lucky if he can expand his chest as much as one inch. Athletes put under the same test will show two or three inches expansion, while many of these "Strong Men" can show a genuine lung-expansion of four to six inches; and sometimes even more than that. (The above method is the only sure method of showing the genuine expansion. Most people when asked to expand the lungs will hunch the shoulders and spread them apart. This does not give one a bit more lung-room, but it does spread and contract the upper body muscles and give a false expansion.) If a spirometer is used to measure the lung capacity, it will prove that while the average man will inhale only about 200 cubic inches of air, the "Strong Man" will inhale 350 to 400 inches. 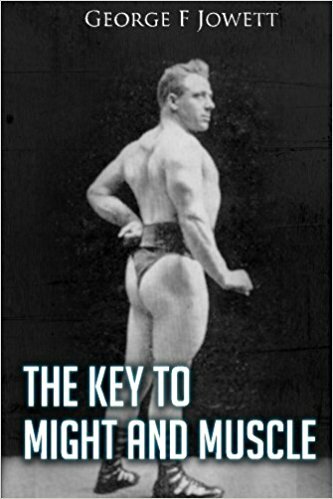 You must remember that the "Strong Man" with his broad shoulders and big rib-box, has more lung-room to start with. To those assets you have to add his unusual power of expansion, and you get the secret of the forced capacity of the lungs. The extra lung-capacity is a valuable asset in more ways than one. The "Strong Man" with his big rib-box breathes more deeply than others do. While they sit at rest and are breathing quietly they may take in only 80 to 100 cubic inches of fresh air at each respiration; whereas the big fellow takes in twice as much revivifying air at each breath. In other words his normal breathing-capacity is twice the average; just as he can take in twice as much air when under forced draft, so to speak. It is almost impossible to make a small-lunged man understand the muscular energy that comes from the possession of big lungs. You have doubtless noted the great difference which your surroundings make in your energy. In a stuffy. unventilated room you feel "loggy," and the slightest movement is an exertion. When you in the fresh air you feel buoyant and energetic. 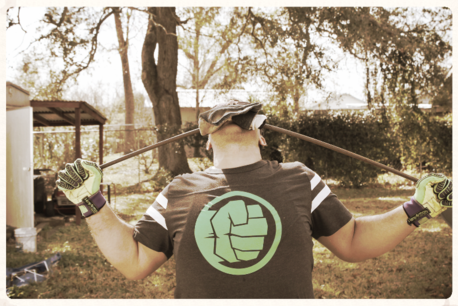 A big-lunged man has at all times - only in greater degree - the energy that you feel when out in the open. There is still another advantage which the big-lunged man possesses which comes from the size of the rib-box itself. It is just such a mechanical advantage as comes from the possession of broad shoulders, wide hips or big bones. On a good-sized rib-box the muscles attached thereto will be longer than is usual and will have more room to develop and thicken. 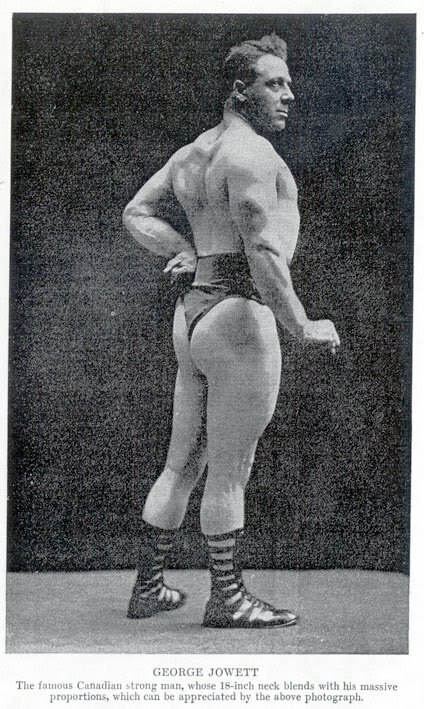 Hackenschmidt's "globe-like" chest was accounted for, both by the size of his exterior muscles, and by the high-arched and capacious rib-box which underlay those muscles. Happily, anyone, be he large-boned or small-boned, can get a big, roomy chest if he practices deep breathing. Most people think that the only reason for cultivating the lungs is to promote endurance; whereas big powerful lungs actually add to a man's strength because they add vastly to his energy. I have know track-athletes, football players, baseball players and oarsmen to die of lung trouble and of heart trouble. But I have never heard of but one real "Strong Man" who succumbed to either of these maladies; and that was Louis Cyr, who died from angina pectoris induced by his excessive corpulence.